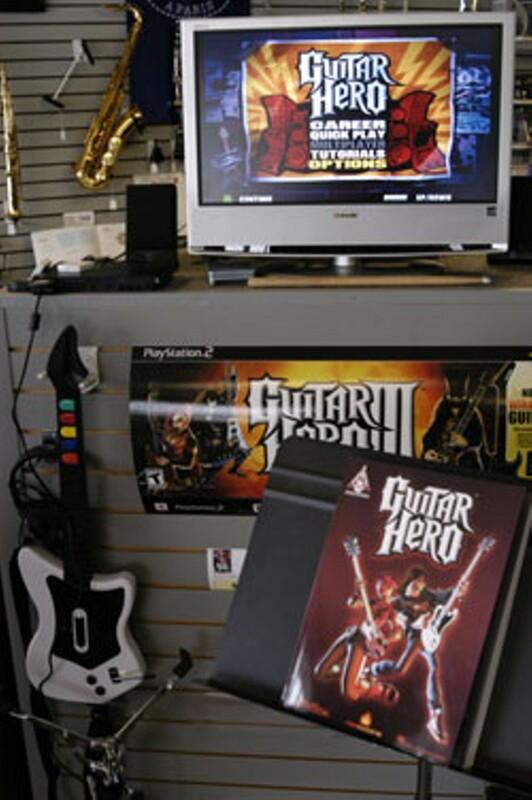 Since its introduction in 2005, “Guitar Hero” has become one of the most popular video game franchises in the world. Its latest installment, “Guitar Hero III,” released at the height of the 2007 holiday shopping blitz, raked in more than $115 million in sales in its first week alone. Regardless of actual musical talent, legions of would-be rock stars, young and old, can now live out their rock ’n’ roll fantasies from the comfort of their living rooms via a flimsy plastic guitar, modeled after the Holy Grail of rock axes, the Gibson SG. Originally intended as a means for folks without appreciable musical skill to feel the thrill of shredding classic-rock guitar riffs, the game is, at its core, just a game. Color-coded “notes” scroll on a TV screen and correspond to buttons on the guitar’s fret board. A “strum bar” simulates picking action, while a whammy bar can be employed for maximum face-melting effect. Players earn points for accurately hitting and sustaining notes and chords in rhythm. 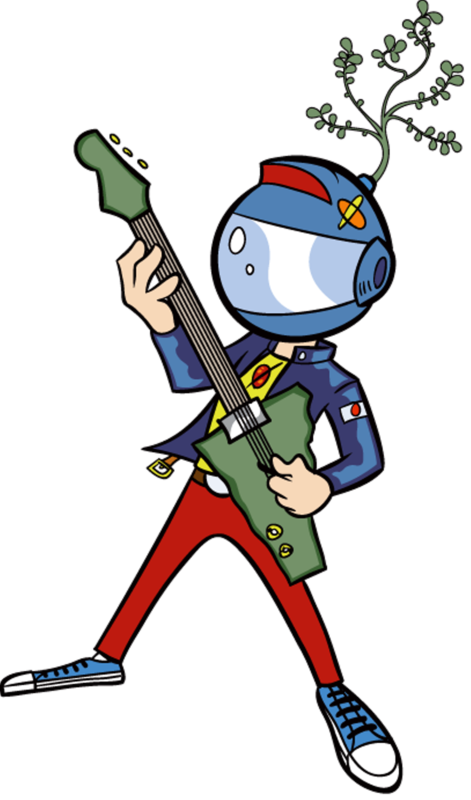 Meanwhile, depending on the player’s performance, his or her virtual onscreen counterpart — a cartoonish rock cliché — shreds the axe, also cartoonishly. Frankly, it’s a hoot. The game does require significant hand-eye coordination, particularly at its most difficult levels. But the key to its popularity is that gameplay doesn’t involve any real musical technique. Contois and his staff of instructors have long been ahead of the curve when it comes to using current technology in tandem with traditional music-education methods. From employing electronic keyboards with lights to guide novice players to the correct keys, to offering online music-theory programs to engage his students, the Berklee-trained Vermont native has seen firsthand how effectively technology can be adapted to captivate young minds. Perhaps it should come as no surprise, then, that Contois has begun using the wildly popular game as a means of teaching guitar. Still, it’s something of a shock to walk through the front door of his small store on Route 15 and be greeted by a giant “Guitar Hero” display, which honestly would look more at home at Best Buy or Toys R Us. “I’d wager you wouldn’t see this in too many other music shops,” Contois says with a chuckle. Generating interest in music is one thing. But can a video game about music, even one as engaging as “Guitar Hero,” really translate into guitar proficiency? In short, yes. 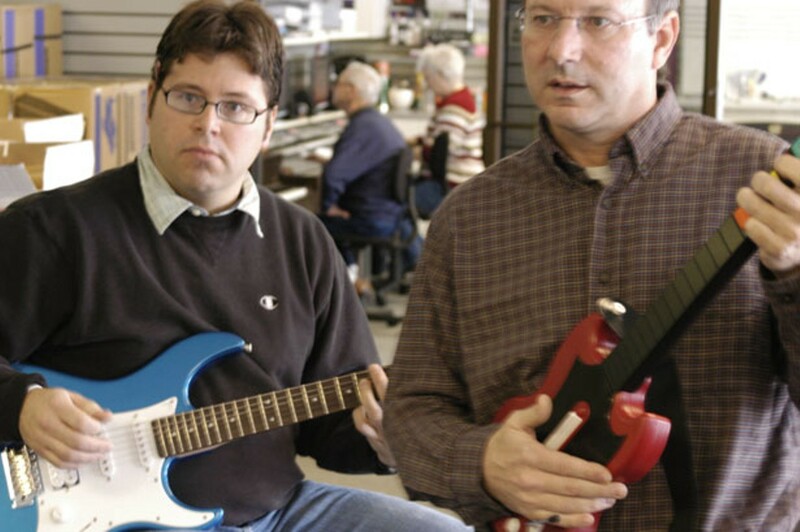 As he watched his son Tanner shred through level after level of the game, it occurred to Contois that what kids are really accomplishing via “Guitar Hero” — largely without realizing it — is learning basic music theory. By showing them the link between what they do on the plastic SG and what they could do on an actual guitar, one might inspire an entire generation of potential musicians. The game presents notes in rhythms that correspond to those of each song. (The soundtrack consists of re-recorded versions of rock classics such as Lynyrd Skynyrd’s “Freebird.”) Hit a note on the wrong beat and you lose points. Nail it and you win. Pretty simple. But the brilliance of the game, intended or not, is that it instills the player not only with a sense of rhythmic timing but also with a subconscious recognition of melody lines. Essentially, what players see as little colored dots scrolling down a TV screen are actually a form of guitar tablature. And when you connect those dots, you’ve got the makings of a real guitar player. Contois proves his theory by handing this reporter a little plastic guitar with five brightly colored, finger-sized buttons on the neck and a miniature whammy bar. “Try it,” he says with a grin, selecting Deep Purple’s “Smoke on the Water” from the game’s menu. Guitar instructor Stu Cook, 36, sits on a nearby stool with an actual guitar across his lap. The game loads, and lights come up on an outlandishly decorated stage. Notes begin to scroll at the bottom of the screen, and I do my best to keep up. I miss the opening riff completely, my fingers still adjusting to the controls on the neck. Eventually, I settle in and run off three or four riffs in a row. The crowd — the virtual one, anyway — goes wild. My “Rock Meter” is off the charts, so I lay into the whammy bar, prompting lightning to strike the stage. Rad, I think, just before completely muffing the final third of the song. Though I’m a moderately accomplished guitar player, I’ve never learned to read tablature. Cook briefly explains how it corresponds to the guitar’s frets and strings and then sets me loose to play along with Deep Purple — or their virtual equivalent, at least. Again, I stumble a bit at the start, but eventually I get it. This time, though, I leave the whammy bar alone. “Everyone knows the game is pretty cool,” says Contois. “But this,” he adds, pointing to the guitar in my lap, “this is a lot cooler.” I nod in agreement. It would be easy to dismiss Contois’ method as a gimmick. But his 50-plus students would probably disagree. In fact, a small group of them recently performed as a band at the Lincoln Inn in Essex Junction. They opened for local rockers The Phil Abair Band, playing songs they learned through “Guitar Hero” and the game’s latest spin-off, “Rock Band” — which applies the same principles to bass guitar, drums and vocals. Judging from a video record of the show, some area cover bands could stand to learn a thing or two from the game. Contois spreads the “Guitar Hero” gospel outside Vermont, too: He was selected to present at a recent National Association of Music Merchants conference in San Diego, as part of the “Guitar Hero” booth. Contois concurs. “The kids who are really into it pick it up so much faster now,” he says approvingly. “And as teachers, we have to keep up.